Heading along to Hammam Granada on a cold february day with a good friend of mine. This place is tucked away, slightly hidden, just off Plaza Nueva, right in Granada´s historic centre. It wasn´t my first visit to this Hammam Al Andalus. I had been here around the year 2000 and also in 2013. My first visit was when I lived in Barcelona some 17 years ago and visited Granada on a Easter break. A lot has changed since then! The baths are now much bigger and well designed. This area of Granada around Plaza Nueva and the fountain Pilar del Toro is the old part of the city of Granada. The Mosque was located here directly below the Alhambra´s Torre de la Vela. The Santa Ana church was built on that same site. You can see that today it still conserves the distinctive bell tower. At that time the river would have been visible, not covered over like today. The square was also much smaller.There were several bathhouses or Hammams in this area at that time. One on the site of the current Hammam Granada and of course the other el Bañuelo a little further down the road on Carrera del Darro. 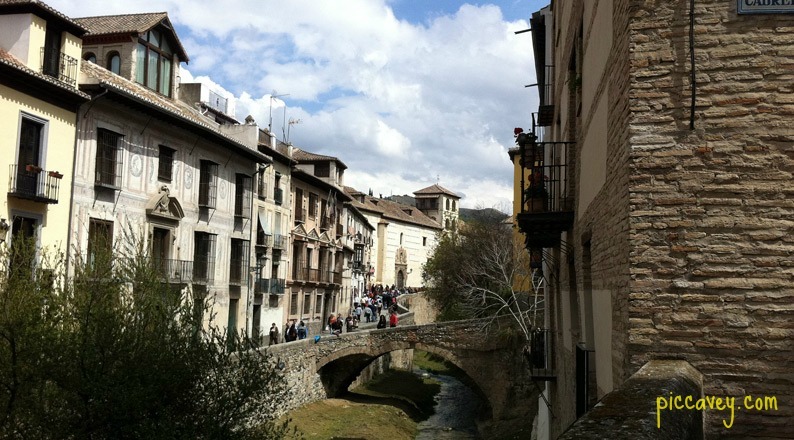 (photo of the Bañuelo below) You can visit this 11th century building for free. 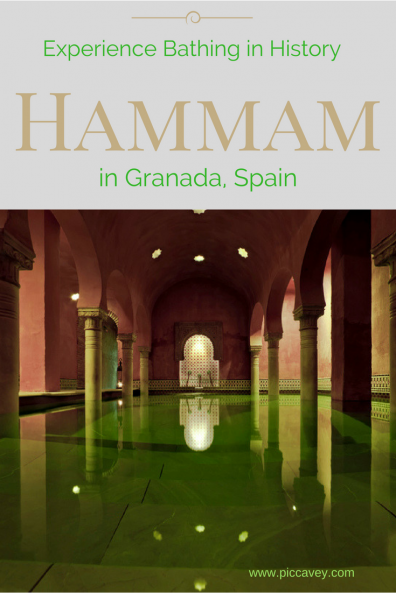 This Hammam Granada was actually the first one to open of it´s kind in Spain. The building where it is actually dates back to 8th & 14th century. However in 1567 due to the difficult situation faced by the moors in Granada, at the hands of the new Catholic Kings, all Hammams in Granada were prohibited. In Granada there were other things banned by the new rulers, particularly cultural, such as a ban on speaking their own language or wearing Arab style garments. So this Hammam building was converted into Bakers oven in the 16th century. The bakers made the most of the heating systems which previously created steam and heated water, for baking their bread. The Hammam Al Andalus company select Moorish buildings and sites with specific historic links in Spanish cities to locate their Hammam. They have four sites in total, Hammam Granada and the others are located in Malaga Madrid & Cordoba. So back to our Arabian princessafternoon, when we arrived to the Hammam Al Andalus Granada, we were given brightly coloured pareos at the reception desk, explained about the time allocated and shown to the changing rooms. I must mention that as soon as you arrive there, the smell of incense and exotic scented oils greet you. The ambient lighting and beautiful nazari style tiles already transport you away from your everyday thoughts. You immediately imagine being in the Alhambra palace years ago. The lockers in the changing rooms are operated by a keypad system (similar to a hotel safe) so that you don´t have to worry about taking the key with you or having a pin or tight bracelet around your wrist. The emphasis of this place is relaxation and tranquility, they certainly do that well. As I walked through from the changing area to the baths the humidity and warmth hit me. This steamy comfortable environment is great for unwinding and relaxing tense muscles. The first thermal bath I headed to was the warm one. It´s best to go first to the warm bath, then alternate to the hot one, then the cold one. Luckily just as I was about to plunge into the freezing cold water it was my turn for the massage. Saved by the bell! For the 15 minute massage you select an aromatic oil from their selection of four. Each Hammam Al Andalus has three oils Rose, Red Amber and Lavender in all of their locations. Then there is one oil in each city which is only available there. So in Granada of course I chose Pomegranate scented oil, the symbol of the city. With the scent of the fragrance and the sound of fountains you really unwind. As well as the massage area there is also a steam room too. The Hammam´s back in history were places to bathe, talk as well as relax when they were used all those years ago. The Hammam Granada recreates this almost perfectly (no talking is allowed now to keep the peaceful atmosphere) It reminded me of when I travelled to Cordoba this Summer I visited the Old Baños Califales (opposite Alcazar Gardens) and got a real idea of the significance of these building to Moorish society at that time. 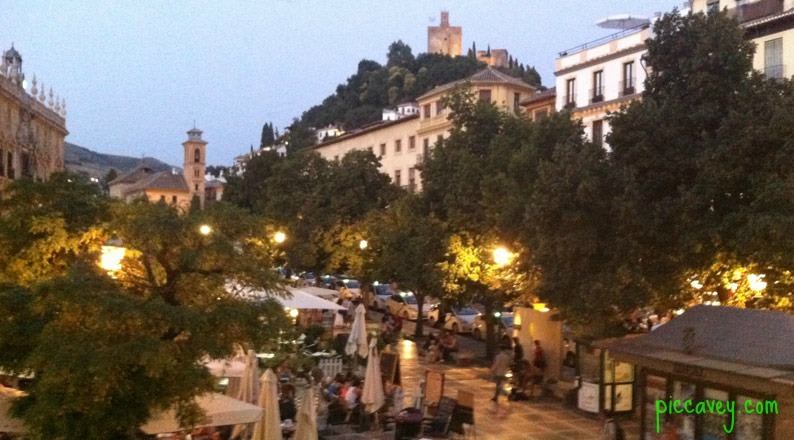 I would recommend this place if you are on a romantic city break or need to unwind while visiting Granada. 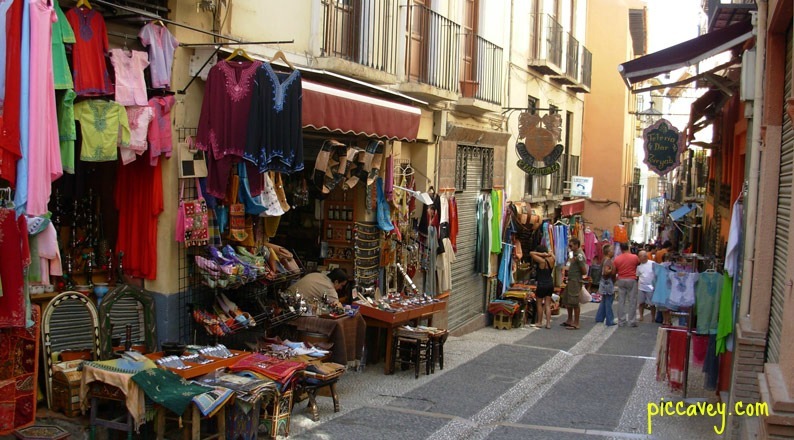 After the visit to Hammam if you have chance, why not head over to the other side of Plaza Nueva? Walk along the street lined with Arab style tea shops and bazaars, get Moroccoan mint tea and a piece of honey covered baklava to round off your afternoon. I love visiting a Hammam, though I haven’t been to this one in Granada. Sounds like it’s one to consider next time I’m spending the night in Granada. I always offer to take visitors when then come to Granada, I love it.. I have been to both the Hammam Al Andalus off plaza Nueva and the Alijbe de San Miguel just off Calle Las tablas. I really enjoyed my experience in both of them. I would happily return to either Arab baths. Thanks for your post , it is very inspiring. 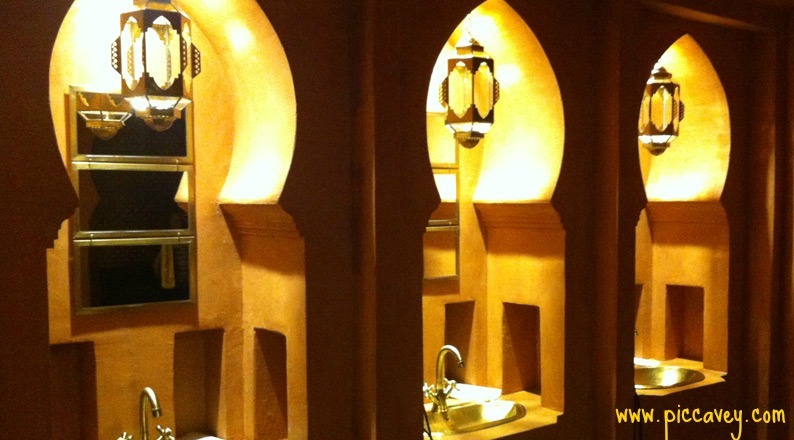 Do you know the Hammam Malaga in Martires Square ? I was really surprised, Much delicacy and beauty that I did not expect . Highly recommended. Many thanks for stopping by to read this. Hello! Nice post. Do you happen to know if there are any female only Hammams?